The importance of the European Court of Human Rights in the European judicial landscape and its influence well beyond Europe's borders are undeniable. For over 50 years the Court's rulings have resulted in numerous changes to domestic legislation and helped to strengthen the rule of law throughout the wider Europe. This book retraces the Court's activities and case-law since its foundation in 1959. The presentation of several hundred of the cases the Court has examined, together with statistics for each State, paints an overall picture of the Court's work and the impact its judgments have had in the member States. With its approach by theme and by article of the European Convention on Human Rights, this work shows the full extent of the rights and freedoms the States Parties to the Convention have undertaken to secure to everyone within their jurisdiction. It also takes a country-by-country look at the cases the Court has been called on to examine, and at the impact its judgments have had in the States it has condemned for violating the Convention. 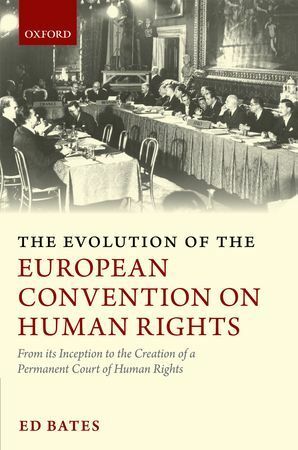 The clear, concise way in which the cases are presented shows just how alive the Convention is today, 60 years after its adoption, and how the Court's interpretation of it has helped it to keep abreast of social change in Europe. One does feel a little silly wearing a fur-trimmed blue stole opposite a member of one's own profession wearing blue jeans and a fancy top. One of us has to give in and I am sure it is not us who should take to wearing fancy tops (maybe with a sheriff's star) and blue jeans. It should, if anything, be the other way around. I reported earlier on the book here. Highly recommended! Yesterday, the Parliamentary Assembly of the Council of Europe (PACE) elected a new judge for the European Court of Human Rights in respect of Portugal: Mr Paulo Sérgio Pinto de Albuquerque. His term of office will start after 5 Febuary 2011 and will last nine years. He will succeed Ireneu Cabral Barreto, who has been a judge at the Corut for over twelve years, ever since the creation of the new fulltime Court in 1998 and who had been, before that time, member of the European Commission of Human Rights since 1993. A nationwide call for candidatures, accompanied by the rules governing the selection procedure, by publishing advertisements in three national newspapers (Público and Diário de Notícias on 20 November and Expresso on 21 November), placing an official announcement in the Official Gazette (Notice No. 21101-A/2009, published in Official Gazette No. 226, Series II, 1st Supplement of 20 November 2009, Part C), and including a news item on the website “Portal da Justiça”, and by further circulating these notices to the Higher Council of the Judiciary and the General Council of the Bar Association. The Justice Minister set up an independent commission with four members appointed by the Higher Council of the Judiciary, the Higher Council of the Administrative and Fiscal Courts, the Procuradoria-Geral da República (Public Prosecutor's Office) and the General Council of the Portuguese Bar Association. This commission was mandated to consider the admissibility of the candidatures using the CV assessment method. The commission played an advisory role in the process of selecting the three candidates to be nominated to the Council of Europe. 31 candidatures were received (13 women and 18 men with a range of professional competences). Among these candidates, the independent commission selected the three individuals which it considered best fulfilled the preconditions of Article 21 of the European Convention on Human Rights. The Government accepted the whole selection proposed by the independent commission. - Mr Paulo Sérgio Pinto de Albuquerque. Pinto de Albuquerque has been a judge and a lawyer at the national level, a board member of Amnesty International Portugal, and associate professor at the Catholic University of Lisbon. He thus has experience both on a theoretical and a practical level. He also was an expert with the Council of Europe's GRECO (Group of States against Corruption) and had been on the list of three nominees for ECtHR judges also in 2004. To be found on the website of the European Court of Human Rights: a clear and handy flowchart of the 'life of an application', from the moment a dispute begins at the national level, all the way through proceedings at the Court in Strasbourg and on to the execution of the judgment. An easy and helpful tool to explain how the Convention works, both to future applicants and to law students. On 10 February 2009, he arrived in Belgium, where he applied for asylum. By virtue of the “Dublin II” Regulation (2), the Belgian Aliens Office submitted a request for the Greek authorities to take charge of the asylum application. While the case was pending, the UNHCR sent a letter to the Belgian Minister for Migration and Asylum Policy criticising the deficiencies in the asylum procedure and the conditions of reception of asylum seekers in Greece and recommending the suspension of transfers to Greece. In late May 2009, the Aliens Office nevertheless ordered the applicant to leave the country for Greece, where he would be able to submit an application for asylum. The Aliens Office received no answer from the Greek authorities within the two-month period provided for by the Regulation, which it treated as a tacit acceptance of its request. It argued that Belgium was not the country responsible for examining the asylum application under the Dublin II Regulation and that there was no reason to suspect that the Greek authorities would fail to honour their obligations in asylum matters. Complaints, procedure and composition of the CourtThe applicant alleged that the conditions of his detention and his living conditions in Greece amounted to inhuman and degrading treatment in violation of Article 3, and that he had no effective remedy in Greek law in respect of his complaints under Articles 2 (right to life) and 3, in violation of Article 13. He further complained that Belgium had exposed him to the risks arising from the deficiencies in the asylum procedure in Greece, in violation of Articles 2 and 3, and to the poor detention and living conditions to which asylum seekers were subjected there, in violation of Article 3. He further maintained that there was no effective remedy under Belgian law in respect of those complaints, in violation of Article 13. Article 3: detention conditions in GreeceWhile the Court did not underestimate the burden currently placed on the States forming the external borders of the EU by the increasing influx of migrants and asylum seekers and the difficulties involved in receiving them at major international airports, that situation could not absolve Greece of its obligations under Article 3, given the absolute character of that provision. When the applicant arrived in Athens from Belgium, the Greek authorities had been aware of his identity and of the fact that he was a potential asylum seeker. In spite of that, he was immediately placed in detention, without any explanation being given. The Court noted that various reports by international bodies and non-governmental organisations of recent years confirmed that the systematic placement of asylum seekers in detention without informing them of the reasons was a widespread practice of the Greek authorities. The applicant’s allegations that he was subjected to brutality by the police during his second period of detention were equally consistent with numerous accounts collected from witnesses by international organisations, in particular the European Committee for the Prevention of Torture (CPT). Findings by the CPT and the UNHCR also confirmed the applicant’s allegations about the unsanitary conditions and the overcrowding in the detention centre next to Athens international airport. Despite the fact that he was kept in detention for a relatively short period of time, the Court considered that the conditions of detention experienced by the applicant in the holding centre had been unacceptable. It found that, taken together, the feeling of arbitrariness, inferiority and anxiety he must have experienced, as well as the profound effect such detention conditions indubitably had on a person’s dignity, constituted degrading treatment. In addition, as an asylum seeker he was particularly vulnerable, because of his migration and the traumatic experiences he was likely to have endured. The Court concluded that there had been a violation of Article 3. Article 3: living conditions in GreeceArticle 3 did not generally oblige Member States to give refugees financial assistance to secure for them a certain standard of living. However, the Court considered that the situation in which the applicant had found himself was particularly serious. In spite of the obligations incumbent on the Greek authorities under their own legislation and the EU Reception Directive, he spent months living in extreme poverty, unable to cater for his most basic needs - food, hygiene and a place to live - while in fear of being attacked and robbed. The applicant’s account was supported by the reports of a number of international bodies and organisations, in particular the Council of Europe Commissioner for Human Rights and the UNHCR. The authorities had not duly informed the applicant of any accommodation possibilities. A document notifying him of the obligation to go to the police headquarters to register his address could not reasonably be understood as an instruction to let the authorities know that he had nowhere to stay. In any event, the Court did not see how the authorities could have failed to assume that the applicant was homeless. The Government themselves acknowledged that there were fewer than 1,000 places in reception centres to accommodate tens of thousands of asylum seekers. That data considerably reduced the weight of the Greek Government’s argument that the applicant’s situation was a consequence of his inaction. The situation of which the applicant complained had lasted since his transfer to Greece in June 2009 and was linked to his status as an asylum seeker. Had the authorities examined his asylum request promptly, they could have substantially alleviated his suffering. It followed that through their fault he had found himself in a situation incompatible with Article 3. There had accordingly been a violation of that provision. Article 13 taken together with Article 2 and 3 (Greece)It was undisputed between the parties that the situation in Afghanistan had posed and continued to pose a widespread problem of insecurity. As regards the risks to which the applicant would be exposed in that country, it was in the first place for the Greek authorities to examine his request. 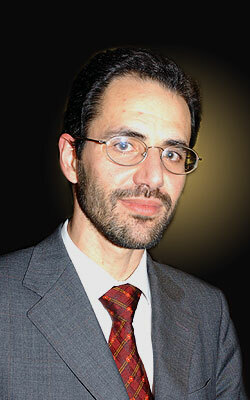 The Court’s primary concern was whether effective guarantees existed to protect him against arbitrary removal. While Greek legislation contained a number of such guarantees, for a few years the UNHCR, the European Commissioner for Human Rights and other organisations had repeatedly and consistently revealed that the relevant legislation was not being applied in practice and that the asylum procedure was marked by major structural deficiencies. They included: insufficient information about the procedures to be followed, the lack of a reliable system of communication between authorities and asylum seekers, the lack of training of the staff responsible for conducting interviews with them, a shortage of interpreters and a lack of legal aid effectively depriving asylum seekers of legal counsel. As a result, asylum seekers had very little chance of having their applications seriously examined. Indeed, a 2008 UNHCR report showed a success rate at first instance of less than 0.1%, compared to the average success rate of 36.2% in five of the six EU countries which, along with Greece, received the largest number of applications. The organisations intervening as third parties had regularly denounced forced returns of asylum seekers by Greece to high-risk countries. The Court was not convinced by the Greek Government’s argument that the applicant was responsible for the inaction of the authorities because he had not reported to the police headquarters within a three-day time-limit as prescribed in a document he had received. Like many other asylum-seekers, as revealed by the reports, he had misinterpreted that convocation to the effect that its only purpose was to declare an address, which he did not have. To date, the authorities had not offered the applicant a real and adequate opportunity to defend his application for asylum. As regards the applicant’s opportunity of applying to the Greek Supreme Administrative Court for judicial review of a potential rejection of his asylum request, the Court considered that the authorities’ failure to ensure communication with him and the difficulty in contacting a person without a known address made it very uncertain whether he would learn the outcome of his asylum application in time to react within the prescribed time-limit. In addition, although the applicant clearly could not pay for a lawyer, he had received no information concerning access to organisations offering legal advice. Added to that was the shortage of lawyers in the list drawn up for the legal aid system which rendered the system ineffective in practice. Moreover, according to information supplied by the Commissioner for Human Rights, uncontested by the Greek Government, the average duration of appeals to the Supreme Administrative Court was more than five years, which was additional evidence that such an appeal was not accessible enough and did not remedy the lack of guarantees in the asylum procedure. In view of those deficiencies, the Court concluded that there had been a violation of Article 13 taken in conjunction with Article 3. In view of that finding it further considered that there was no need for it to examine the complaints lodged under Article 13 taken in conjunction with Article 2. Article 2 and 3: The Belgian authorities’ decision to expose the applicant to the asylum procedure in GreeceThe Court considered that the deficiencies of the asylum procedure in Greece must have been known to the Belgian authorities when they issued the expulsion order against the applicant and he should therefore not have been expected to bear the entire burden of proof as regards the risks he faced by being exposed to that procedure. The UNHCR had alerted the Belgian Government to that situation while the applicant’s case was pending. While the Court in 2008 had found in another case that removing an asylum seeker to Greece under the Dublin II Regulation did not violate the Convention (3), numerous reports and materials had been compiled by international bodies and organisations since then which agreed as to the practical difficulties involved in the application of the Dublin system in Greece. Belgium had initially issued the expulsion order solely on the basis of a tacit agreement by the Greek authorities and had proceeded to execute that order without any individual guarantee given by those authorities at a later stage, although under the Regulation Belgium could have made an exception and refused the applicant’s transfer. Against that background, it had been up to the Belgian authorities not merely to assume that the applicant would be treated in conformity with the Convention standards but to verify how the Greek authorities applied their legislation on asylum in practice, which they had failed to do. The applicant’s transfer by Belgium to Greece had thus given rise to a violation of Article 3. Having regard to that conclusion the Court found that there was no need to examine the complaints under Article 2. Article 3: The Belgian authorities’ decision to expose the applicant to the detention and living conditions in GreeceThe Court had already found the applicant’s conditions of detention and living conditions in Greece to be degrading. These facts had been well known and freely ascertainable from a wide number of sources before the transfer of the applicant. In that view, the Court considered that by transferring the applicant to Greece, the Belgian authorities knowingly exposed him to detention and living conditions that amounted to degrading treatment, in violation of Article 3. Article 13 taken together with Article 2 and 3 (Belgium)As regards the complaint that there was no effective remedy under Belgian law by which the applicant could have complained against the expulsion order, the Belgian Government had argued that a request for a stay of execution could be lodged before the Aliens Appeals Board “under the extremely urgent procedure”. That procedure suspended the execution of an expulsion measure for a maximum of 72 hours until the Board had reached a decision. However, the Court found that the procedure did not meet the requirements of the Court’s case-law that any complaint that expulsion to another country would expose an individual to treatment prohibited by Article 3 be closely and rigorously scrutinised, and that the competent body had to be able to examine the substance of the complaint and afford proper redress. Having regard to the Aliens Appeals Board’s examination of cases, which was mostly limited to verifying whether those concerned had produced concrete proof of the damage that might result from the alleged potential violation of Article 3, the applicant would have had no chance of success. There had accordingly been a violation of Article 13 taken in conjunction with Article 3. The Court further considered that there was no need to examine the complaints under Article 13 taken in conjunction with Article 2. Article 46 (Binding force and execution of judgments)The Court considered it necessary to indicate some individual measures required for the execution of the judgment in respect of the applicant, without prejudice to the general measures required to prevent other similar violations in the future. It was incumbent on Greece, without delay, to proceed with an examination of the merits of the applicant’s asylum request that met the requirements of the Convention and, pending the outcome of that examination, to refrain from deporting the applicant. Article 41Under Article 41 (just satisfaction) of the Convention, the Court held that Greece was to pay the applicant 1,000 euros (EUR) in respect of non-pecuniary damage and EUR 4,725 in respect of costs and expenses. It further held that Belgium was to pay the applicant EUR 24,900 in respect of non-pecuniary damage and EUR 7,350 in respect of costs and expenses. Separate opinionsJudges Rozakis and Villiger each expressed a concurring opinion. Judge Sajó expressed a partly concurring and partly dissenting opinion. Judge Bratza expressed a partly dissenting opinion. These opinions are annexed to the judgment. Today, the Court decided in the case of Haas v. Switzerland (judgment in French only) that the right to private life is not violated when a state refuses to help a person who wishes to commit suicide by enabling that person to obtain a lethal substance. The applicant in the case, Ernst Haas, had for two decades been suffering from a serious bipolar affective disorder (more commonly known as manic depression). During that time he attempted to commit suicide twice. Later, he tried to obtain a medical prescription for a small amount of sodium pentobarbital, which would have allowed him to end his life without pain or suffering. Not a single psychiatrist, of the around 170 (sic!) he approached, was willing to give him such a prescription. This would have been necessary, under Swiss law, which allowed for assisted suicide if it was not done for selfish motives (in the opposite case, the person assiting could be prosecuted under the criminal code). In Strasbourg, at the European Court of Human Rights, Mr Haas claimed that under the right to respect for private life (Article 8 ECHR) Switzerland was obliged to help him to commit suicide in a manner without risk or pain, that is by way of helping him to access the required amount of sodium pentobarbital. The case clearly raises problems somewhat similar to the famous Pretty v United Kingdom judgment of the Court in 2002, in which the European Court held that the refusal to guarantee the non-prosecution of the husband of the terminally ill Diane Pretty did not violate human rights. The Court distinguished the present case from Pretty: Haas was - contrary to Pretty - not terminally ill nor unable due to such illness to commit suicide himself. Not so much the ability to commit suicide was at stake, but the claim that if the applicant would not obtain the substance he demanded he would have to commit suicide in an undignified way. The Court held in the Haas judgment that the right to respect for private life includes the right for individuals to decide in which way and at which moment his or her life should end, om the condition that the person is able to make up his or her mind freely on this and to act accordingly. Looking at the Convention as a whole, the Court held that states should balance privacy rights with the protection of the right to life (Article 2 ECHR) which included protecting persons against themselves, in cases in which the decision to commit suicide was not arrived at freely and consciously. In this difficult balancing act there is no European consensus - the margin of appreciation is thus wide. In fact, the Court noted that Switzerland was leaning relatively towards the protection of Article 8 rights as compared to most other European countries which put more emphasis on the protection of the right to life. All the more so, the Court saw the value of the safeguards against abuse and against precipitated decisions which the Swiss system has incorporated by requiring medical prescription for sodium pentobarbital. Indeed, the Court ascertained that Article 2 requires that states put a procedure in place which safguards that the decision to end one's life reflects the free will of the person involved. The Swiss system of requiring a psychiatric report was a way of fulfilling that Convention requirement. Thus the Court held that the Convention had not been violated in this case. As far as the case information shows, the applicant is still alive. The press release in English can be found here. 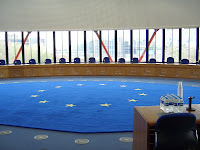 The existence of the European Court of Human Rights is generally considered to be central to the success of the European Convention on Human Rights. For that reason, there is ongoing and significant concern about the future of the Court; a future that is characterised by fragility emanating from a number of sources not least of which are increased political antipathy towards the Court from a variety of member states and enormous volumes of applications resulting in serious logistical difficulties. Taking the fragility of the Court’s future into account, this paper asks whether the dual functions that we expect the Court to perform — a constitutionalist function and an adjudicatory function — can be sustained or whether, in fact, that dual functionality contributes to the Court’s fragility. This fragility clearly presents a crisis for the Court, and it is not one of which either it or the member states to the Council of Europe are unaware. 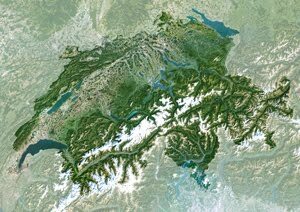 Indeed, in early 2010 a conference was held in Interlaken, Switzerland in order to agree upon a declaration that would secure the future of the Court. At that conference and, indeed, in the Declaration that followed it, the basic principle of dual functionality was preserved. In this paper I argue that any solution that attempts to maintain a full commitment to the European Court of Human Rights acting as both a constitutionalist and an adjudicatory tribunal has only a limited prospect of success in securing the Court’s future. Not only is that approach one that fails to come fully to grips with the logistical nightmares from which the Court finds it so difficult to awaken, but it also allows for the Council of Europe system to abdicate its political role in ensuring compliance with the Convention and for domestic politics and courts to rely too heavily on the subsidiary regional Court instead of developing an autonomous jurisprudence on the Convention. On 4 November 2010 the European Convention on Human Rights celebrated its sixtieth anniversary. It has undergone a spectacular evolution since its creation in 1950. 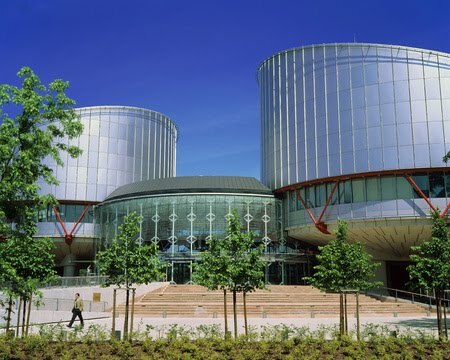 In recent times the European Court of Human Rights has been compared to a quasi-constitutional court for Europe in the field of human rights, and for some time the Convention has been viewed as a European Bill of Rights. The 'coming of age' of the ECHR system in the late 1990s was marked by the entry into force of Protocol 11, creating a new, full time Court. By contrast those who first proposed a European human rights guarantee were driven by an ambition to put in place a collective pact to prevent the re-emergence of totalitarianism in 'free' Europe. They were motivated by grisly memories of human rights abuse associated with World War Two, and the protection of 'human rights' was seen in that light. When the Convention was opened for signature in 1950 it was viewed by many with scepticism and disappointment. The Convention system took many years to get established. In the mid-1960s doubts were expressed as to whether the Court had a future and in the 1970s the Convention system of control faced a number of serious challenges. This book mainly focuses on the story of the evolution of the Convention during its first fifty years (up to 1998), although there is also a final chapter on the post-1998 situation. It reflects on the Convention's origins and charts the slow progress that it made over the 1950s and 1960s, before, in the late 1970s, the European Court of Human Rights delivered a series of landmark judgments which proved to be the foundation stones for the European Bill of Rights that we know today. 3: Proposals for a Convention to Safeguard Europe from Tyranny and Oppression? 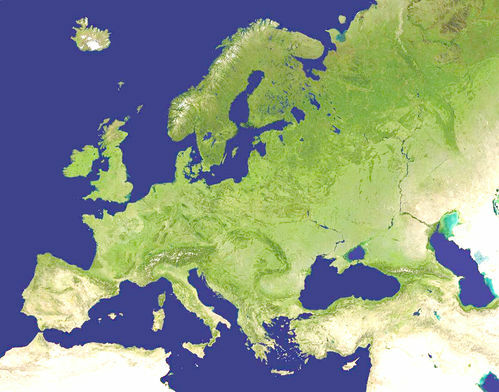 This article seeks to make sense of why the ECtHR’s interpretation techniques are problematic from the point of view of Nordic legal culture and especially from the viewpoint of Nordic sovereignty of people flavoured version of constitutionalism. Especially, the dynamic and evolutive approach used in interpretation by the ECtHR is looked at in more detail; it is likely the most controversial interpretation technique of the Court, which causes troubles with national understandings of constitutionalism. The aim of this article is to shed light on the nature of the collision between international and national versions of constitutionalism in the sphere of human constitutional rights. 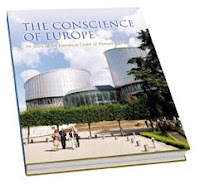 Chapter 1 explains the starting point and aims, chapter 2 deals with the Nordic legal culture in general and specifically Nordic understanding of constitutionalism, and chapter 3 explains the position of the ECHR and the ECtHR and then goes on to define the dynamic and evolutive interpretation used by the Court. Chapter 4 takes few illustrative example cases and with the help of these tries to show how dynamic and evolutive interpretation actually takes shape in illustrative cases which have Nordic connections. Last chapter (5.) concludes that there are difficulties with judicial activism by the ECtHR and the way constitutionalism is conceived in Nordic legal mentality. This article examines the non-discrimination provisions of the European Convention on Human Rights in relation to social security law. There is a now a broad power of review under the ECHR as most social security payments fall within the scope of the Convention. There is also a more flexible approach to the grounds upon which discrimination can be challenged under Article 14. However, it is suggested that the European courts may need to adopt a more nuanced (or proportionate) approach to equality review rather than a binary approach. After many years of uncertainty, Protocol 14 to the European Convention on Human Rights finally entered into force on 1st June, 2010. It brings about some important and well-known amendments to the European Court of Human Rights’ functioning. Those reforms should help the Court deal with some of the serious difficulties and backlog it has been facing to date. The Protocol also generates its own set of new difficulties, however, as many procedural and substantive issues were not settled by the updated version of the Rules of Court and will have to be addressed in practice. Moreover, as foreseen by certain specialists, many other fundamental reforms are needed to make the Court more effective and a Protocol 15 is allegedly already under consideration. European Court of Human Rights and under the Swiss Chairmanship of the Council of Europe. Different measures listed in the Action Plan shall be discussed and suggestions made as to how to best implement them. 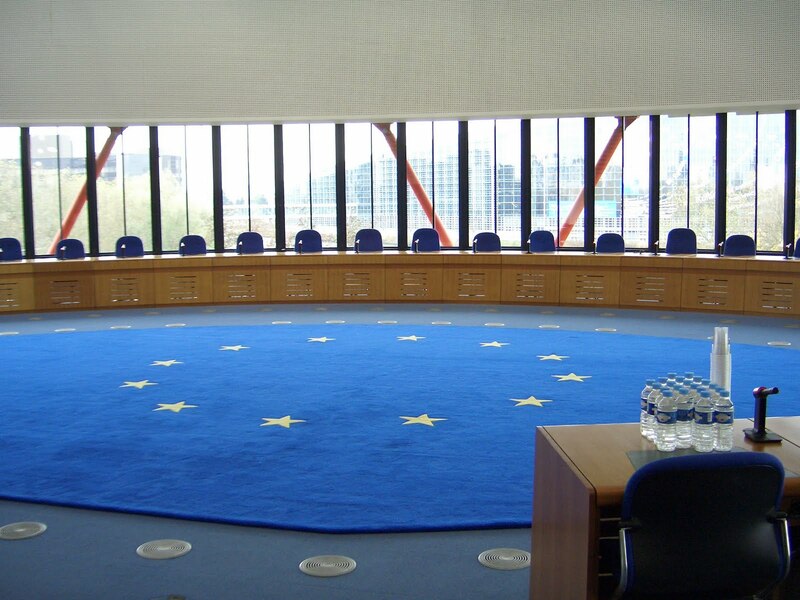 The article offers an account of the judicial philosophy which underpins the European Court of Human Rights’ approach to treaty interpretation. The first part argues that Strasbourg's interpretive ethic has been dismissive of originalism and textualism and has favoured instead the moral reading of the Convention rights. The second part of the article explains why Strasbourg's interpretive ethic is fully justified, by offering an account of the nature of treaty interpretation in general. It argues that treaty interpretation is intrinsically an evaluative task in identifying the moral values which normatively constrain the projects that states pursue on the international plane. Treaty interpretation is only derivatively an exercise in discovering drafters’ intentions and in determining the meaning of treaty provisions. Which interpretive methods an adjudicative body should use depends on the nature of the treaty in question and the moral value in play. In most of Europe, expropriation must comply with the standards set under European human rights law. 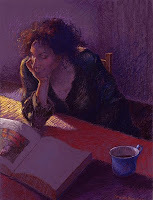 Article 1 of the First Protocol (‘P1-1’) to the European Convention on Human Rights declares that ‘every natural or legal person is entitled to the peaceful enjoyment of his possessions.’ The European Court of Human Rights has stated that the right would be ‘largely illusory and ineffective’ if it did not guarantee full compensation in all but exceptional circumstances. It is quite clear, however, that this was not the belief of at least some of the States that had signed it when it came into force in 1954. P1-1 makes no reference to compensation. An interference must be lawful, and in the public or general interest, but there is nothing that expressly requires compensation. Nevertheless, the Court has declared that any interference with the right to the peaceful enjoyment of possessions must strike a ‘‘fair balance’ between the demands of the general interest of the community and the requirements of the protection of the individual's fundamental rights’, and this means that expropriation without compensation that is reasonably related to the value of the property would normally violate the owner's rights under P1-1. Finally, the Equality Law Reports have been launched. This is a series of law reports covering all areas of discrimination law (employment discrimination and non employment discrimination, including access to goods, facilities and services; housing, education and the public sector equality duty). They very regularly cover key ECHR equality judgments. The conference will be organized along the lines of six panels, respectively dealing with gender, cultural minorities, religious minorities, children, disability and sexual orientation. In each panel, three scholars will propose a new draft of some crucial passages in a judgment of the European Court of Human Rights, thus translating their theoretical views on the accommodation of diversity into judicial language. Judges of the European Court of Human Rights and other practitioners will be asked to comment on the proposals. 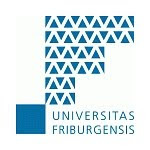 With this concept, the conference aims to bridge the gap between academic analysis and judicial practice. Please note that registration – free of charge – at www.mainstreamingdiversity.com is required for participation in the conference.